For the latest and most accurate news on NHL trades today, PuckPedia is your source. Our real-time listing of all the official trades shows you the most recent trades first, keeping you up to date and in tune with your favorite National Hockey League teams and players. Bookmark this page for easy access to everything you want to know about the latest NHL trades. Check out which players are moving and the latest developments on your favorite hockey team’s roster. Our Team and Player pages are updated in real-time as new trades are made so you can always see the latest Salary Cap Calculations - know what's happening, as it happens! National Hockey League (NHL) trades allow teams to improve their current rosters by exchanging players, prospects, or draft picks with other teams. The rules governing trades are outlined in the NHL/NHLPA Collective Bargaining Agreement (http://www.nhlpa.com/inside-nhlpa/collective-bargaining-agreement). The NHL's trade deadline generally means a lot of movement among NHL hockey players. The NHL trade deadline is a much-anticipated event among hockey teams, as teams are no longer allowed to exchange players after the trade deadline has passed. This leads to many transactions. Playoff teams are loading up for what they hope is a long playoff run, and playoff hopefuls are trying to get a piece to push them over the playoff hump. At the other end of the standings, teams that will be clearly missing the playoffs want to trade older players for younger prospects or draft picks. This is especially true for players that are about to become Unrestricted Free Agents (UFA’s). For smart asset management, teams need to trade pending UFA’s for draft picks, prospects, or players with term left on contracts before they lose them for nothing on July 1. Teams that are firmly in the playoff picture or on the bubble have difficult decisions to make on their pending free agents; keep them for the rest of the season and playoffs and risk losing them for nothing afterwards, or trade them for some assets by the deadline. This is a very exciting time for both hockey fans and analysts, who are eagerly anticipating and predicting which players will get traded and which teams they will be moving to. The Trade Deadline day usually falls within the last week of February or the first week of March, and will be on Monday February 26, 2018 for the 2017-2018 season. All the buzz about NHL trade and player movements gets much more intense as the trade deadline draws near. Make sure you checkout PuckHead GM (link) to model out the moves your team should or might make. The NHL trade deadline was established in the early 1980s and since then, there have been 539 trades made on the deadline day. This involves a total of 993 players and 344 draft picks. Over the past 15 seasons, more than 15 trades have been made on the deadline day, and there were at least 30 players traded in each season. In the past 10 seasons, the average number of NHL trades made on the deadline day was 21.5, while the average number of hockey players traded was 40.6. More specifically for the last couple of seasons, there were 68 trades in the 2014-2015 season, 52 trades made in 2015-2016, and 89 trades in the 2016-2017 season. 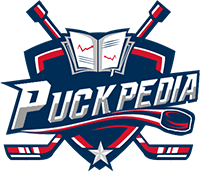 For the most up-to-date news and information on your favourite NHL teams, including the Salary Cap, stay tuned to PuckPedia.